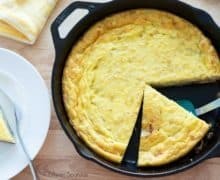 This Spanish Tortilla Frittata Recipe is a hybrid of the classic Spanish dish with onions and egg, and an Italian frittata. It’s a delicious and filling recipe for breakfast! I have a serious love for frittatas. A few years back I used to love having sweets for breakfast (hello cinnamon rolls and blueberry muffins), but over time I’ve come to prefer something that will actually fuel me for the day. I find myself mainly eating leftovers from dinner the night before or eating savory eggy dishes like this. The best part about a frittata is its versatility. 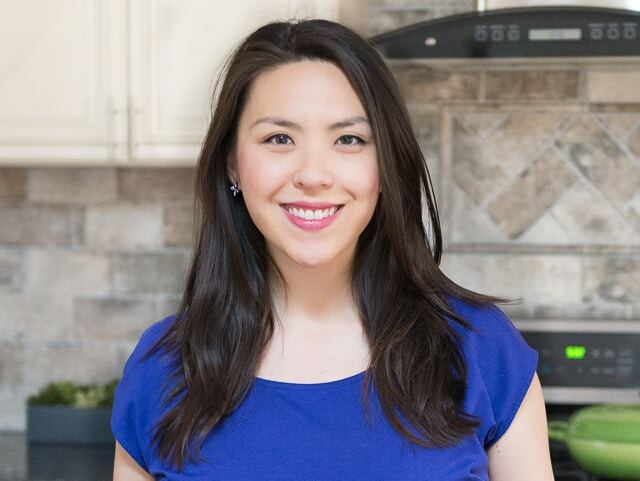 Need to use up leftover ingredients in the fridge? Odds are you can throw it into a frittata. I’ve already done a few frittatas on Fifteen Spatulas before, but this one is a hybrid between one of my favorite dishes from my time living in Spain, Tortilla Espanola, and an Italian frittata. Once the onions are translucent and fragrant, remove them from the pan to a large mixing bowl. 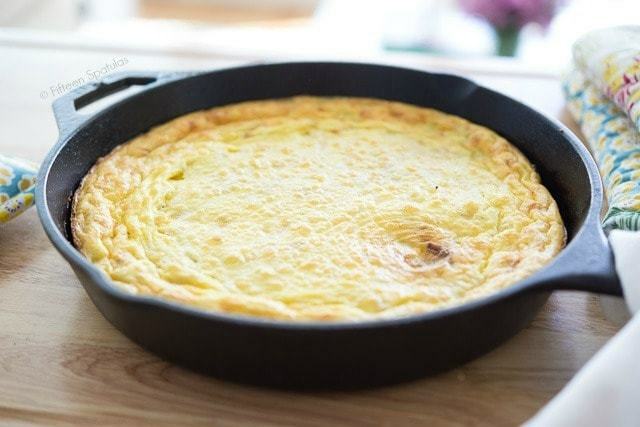 This Spanish Tortilla Frittata Recipe is a hybrid of the classic Spanish dish with onions and egg, and an Italian frittata. It's a delicious and filling recipe for breakfast! In a large ovenproof skillet, heat up the olive oil over medium heat, and add the onions. Cook the onions for about 10 minutes, stirring frequently, until soft and translucent. 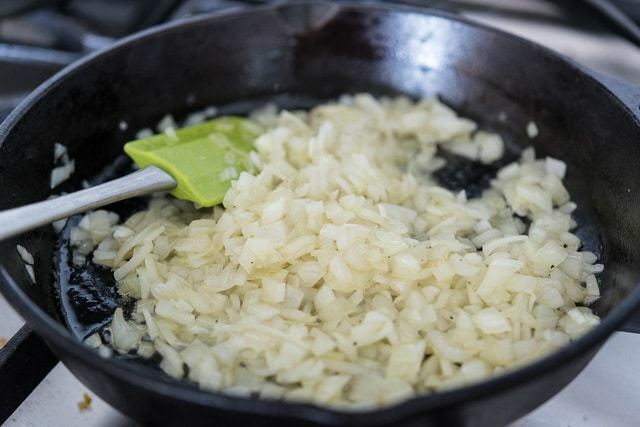 Pour the cooked onions into a large mixing bowl, and return the skillet to the stove. 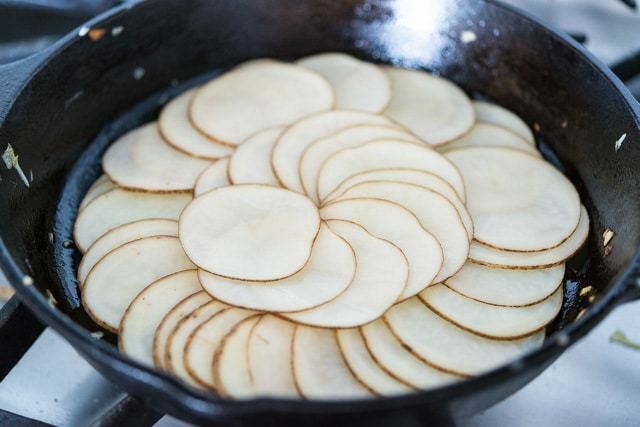 Spread the potato slices evenly around the skillet, making sure to season each individual layer of potatoes with a pinch of salt. You will likely have enough potato slices for two layers of potato. 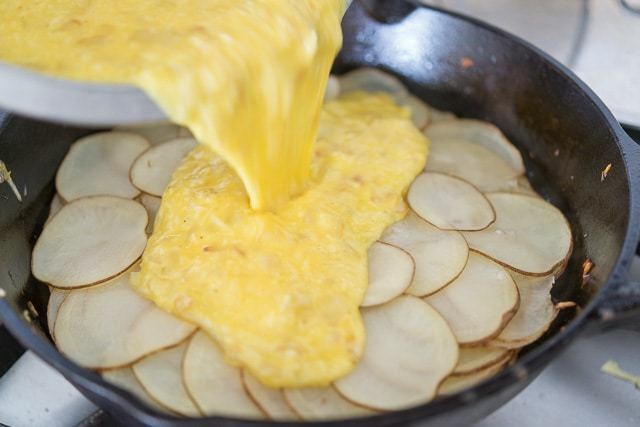 Place a lid on the skillet and let the potatoes cook for 10 minutes, until the potato slices are soft and cooked through. 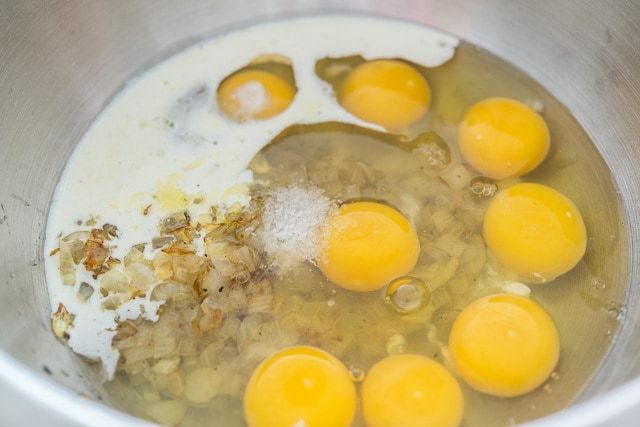 In the meantime, add the eggs, manchego cheese, heavy cream, and 1/4 tsp salt to the mixing bowl with the cooked onions. 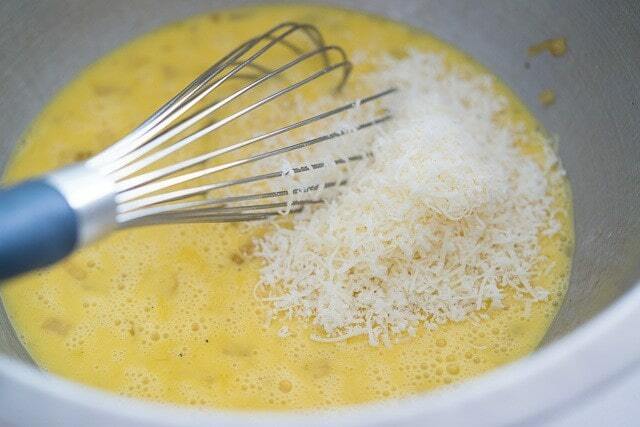 Whisk to combine, then pour this mixture all over the cooked potatoes. Bake for 15-20 minutes, until the center of the frittata no longer jiggles. Cut the frittata into slices, and enjoy! Looks delicious, and so easy! I love quiches for the same reason…great way to use up what’s in the fridge. This is such an interesting recipe, I can’t wait to try it! I absolutely love everything about this from the potato layer to the manchego cheese. I do the same thing. At the end of the week I go through my refrigerator and find all the veggies that are on their last life and make a quick frittata. 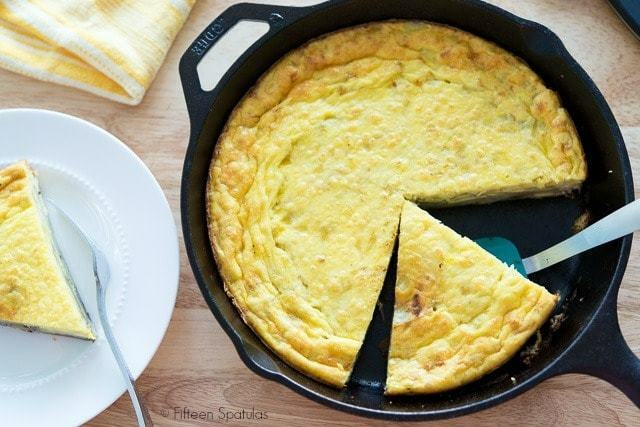 I love having frittata for breakfast, especially when you only need one skillet to cook it. Perfecto!